A great question was recently posed to Dr. Well via the New Yorker: Is “generic Viagra” from mail-order pharmacies legit? For the most part, their answer is very one-sided and misses out on some important details. So while their answer may have left us hanging, pardon the pun, we thought we’d try giving a more accurate answer. No other drug, generic or otherwise, is as sought after online as Pfizer’s signature drug, Viagra. Unfortunately for some, this can also mean acquiring potentially harmful counterfeits if purchased from less than reputable sources. There are a lot of claims out there, and the key is sifting through the fiction to uncover the facts. 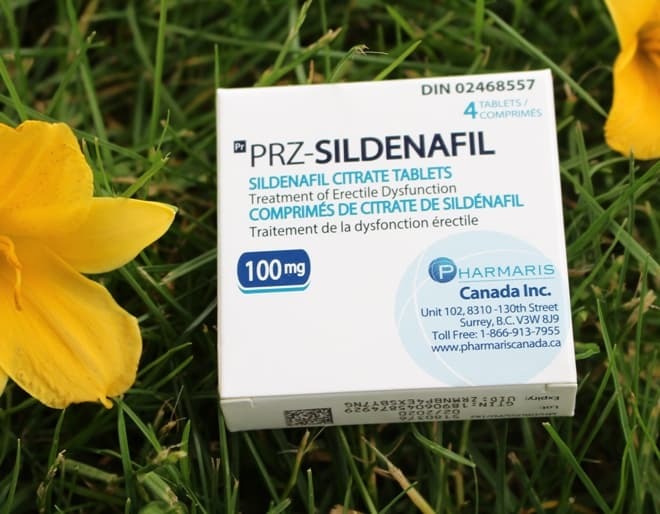 For years, there has been a ton of controversy and contention surrounding the generic buying potential of Viagra (sildenafil citrate). To date, there isn’t a legal generic in the United States, and won’t be until sometime in late 2017. According to a recent settlement between Teva Pharmaceuticals and Pfizer, Teva will be allowed to launch a generic version of Viagra in December 2017. This is technically two years ahead of Pfizer’s patent expiring in 2020. However, it comes with an undisclosed royalty being paid to Pfizer for license to produce the drug. With December 2017 still over a year away, plenty of people are searching for other options. Luckily, there are many other generic versions already legally approved for Canadian pharmacies. Let’s take a closer look at whether or not buying generic Viagra from an online Canadian pharmacy may be right for you. Should You Buy Generic Viagra Online? Before we continue on, we want to remind everyone generics and biosimilar drugs are as effective and safe as their reference product. However, it’s important to purchase these drugs, just like any other prescription medication, from reputable sources. More on that in a minute. Safe, legal, generic Viagra is sold out of both Canadian and Indian pharmacies. In fact, generic Viagra alternatives have been approved for accredited Canadian Pharmacies for the past couple of years. This approval took place after the Supreme Court of Canada invalidated Pfizer’s patent for the popular ED drug. So while a generic may not technically be available in the United States just yet, it can be purchased through reputable online sources. It’s important to point out that if you live in the United States, it’s technically prohibited under federal law to purchase most medications across the border. However, it’s equally important to note that the FDA does not prosecute Americans who import small quantities (90 days or less) of their medications for their own personal usage. While buying a generic version of a drug is considered to be safe, as they are the medical equivalent to the reference drug, do not buy generic Viagra from any online pharmacy without a valid prescription from your doctor. If you spot an online pharmacy claiming to deliver authentic generic Viagra without a prescription, you should proceed with extreme caution. (Or preferably, not at all.) Many of these pharmacies who lay claims to generic Viagra (or other prescription medications) without a prescription will likely be fraudulent. Be sure your online pharmacy have CIPA (Canadian International Pharmacy Association) and PharmacyChecker credentials. In the best circumstances, fake pharmacies will spam your email with a bunch of junk—because they’ll sell your details on. At worst, your privacy and financial security will be compromised, along with your health. Keep in mind the old adage: If it sounds too good to be true, it likely is. Don’t buy into it. It’s not worth the risk. Viagra, in specific, has been known to be a target for counterfeiters. A peer reviewed study involving a broad spectrum of online pharmacies claiming to have generic Viagra found many of them not credentialed by PharmacyChecker.com or other credentialing groups to be more likely to sell a counterfeit version. This included pills with potentially dangerous ingredients. Everyone has received those annoying SPAM emails claiming to have herbal remedies to abolish your erectile dysfunction and make you a king in the bedroom. The truth of the matter is; no herbal alternative has been proven to be as effective as sildenafil citrate. In addition, because they aren’t regulated the way prescription medications are, many are now being spiked pharmaceutical compounds. This can be dangerous on a number of levels. PharmacyChecker.com’s sister site, ConsumerLab.com actually keeps a news thread full of warnings on alternative ED products. When in doubt, go through some of the news feed to see if there are any red flags you should be aware of. There are, however, plenty of natural remedies to help with erectile dysfunction. However, lifestyle choices play a big role in both a man and woman’s sexual health. Incremental changes can lead up to big things, and one day medications may not even be necessary. How did Viagra Come to Be, Anyway? Interestingly enough, Viagra itself wasn’t originally intended to become the well-known erectile dysfunction phenomenon it is today. Instead, the drug was originally developed to treat chest pains. Luckily for men (and their ladies), the failed angina medication had a pleasing side-effect that has become infamous. As we said, a generic version of Viagra will be available in the United States in late 2017. Until then, take the precautions necessary before purchasing any generic or prescription medication online. Canadian Pharmacies are a great source for cheaper medications, but be sure you’re buying from a reputable site with credentials to back up their claims. Otherwise, you’re putting your health—and possibly your financial details—at risk. No amount of potential savings are worth that risk.